In 1963 two members of The Four Epics(see in this blog) Jimmy Mullen and Jack McKnight with Bobby"Buzzy" Sheeran and Tony"Barney" Barbella form The Vespers.they released_Mr. Cupid/When I Walk With My Angel.in late 1963 for Swan Records. Rare picture of The Vespers(L to R);Bobby,Jack,Tony and Jimmy. 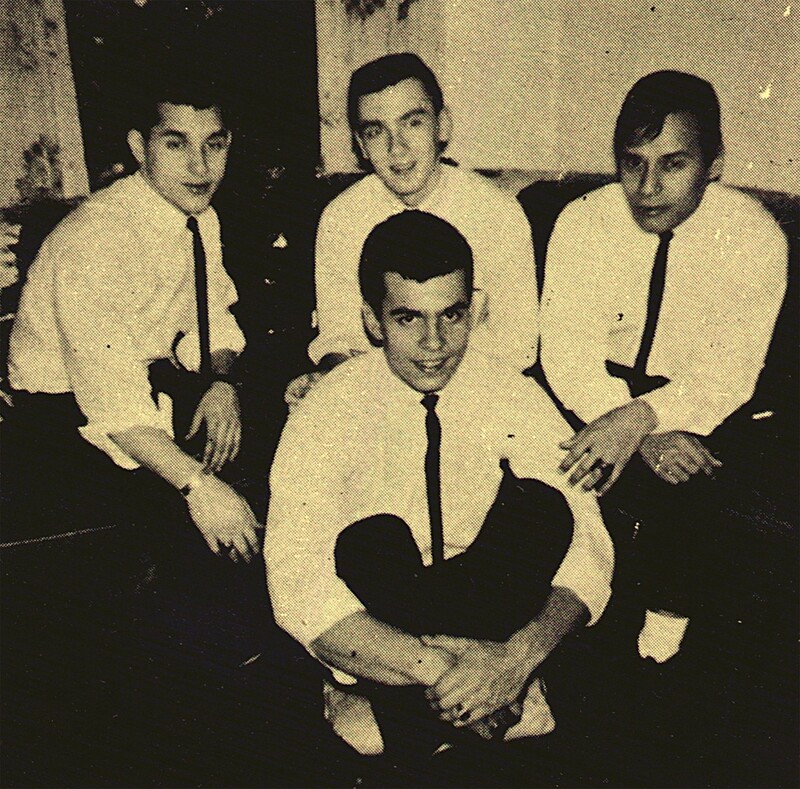 In 1961 The Newports(see in this blog) recorded several songs for Dave McRae's label Kane Records,this released two sides_If I Could Tonight/A Fellow Needs A Girl. and sold all the masters to Guyden Records. 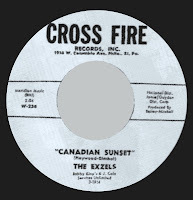 Guyden Records re-released the Kane's sides and via Cross Fire Records released in 1962 the unreleased Newport's side_Canadian Sunset. 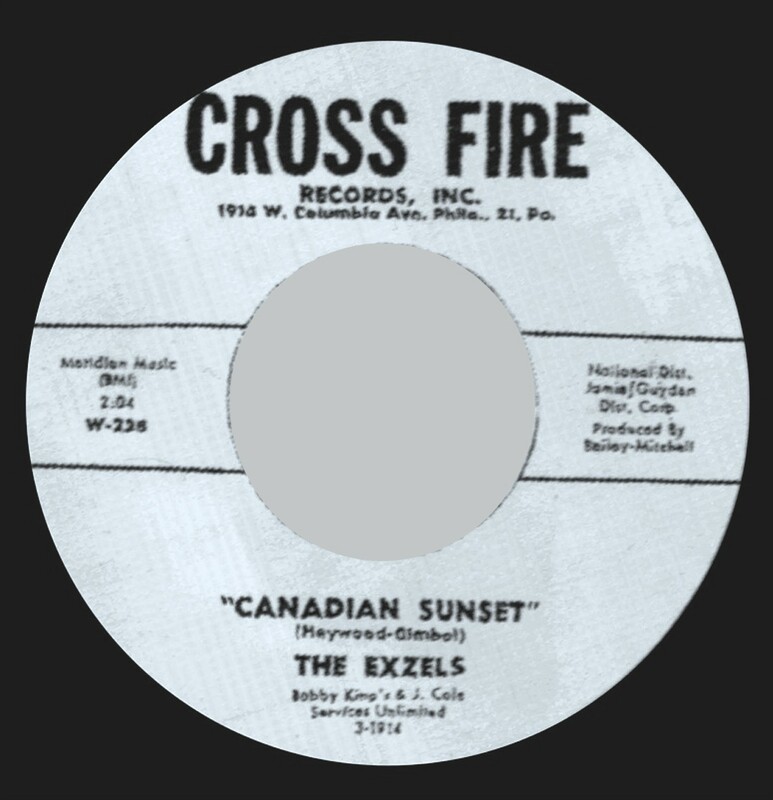 under the group name of THE EXZELS (B Side_Hit Talk. is David Simmon's Black group). 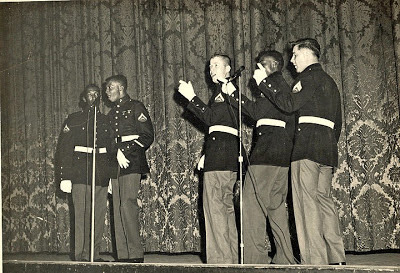 The Charades from Tulare,California formed in 1957 by Johnny T.Johnson(Tenor,Lead),Syl Grigsby(Falsetto,Baritone,Lead),Alex Pilkinton(Bass,Baritone,Lead),Levein Butler(Baritone) and the white member Ray Baradat(Tenor,Baritone). 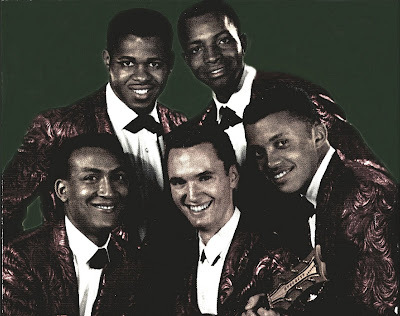 In 1959 the group recorded for Swingin' and Weber Records as The Latin Knights unfortunately none of these songs were released. In 1962 the group now know as The Charades signed with Anthony J.Hilder and during 1962 to 1964 recorded for labels as Northridge,Ava,Original Sound or Impact Records. -Please Be My Love Tonight/Turn Him Down. 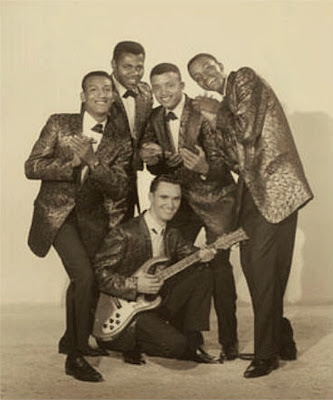 In 1964 they recorded_Surf & Stomp.this side send The Charades to be the first "Soul Surf Group". 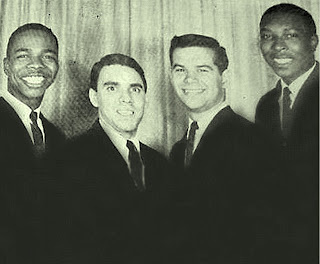 The Charade's continue singing for many years and in 1974 recorded for Motown.today Syl Grigsby and Ray Baradat singing with a reformed Charade's group. 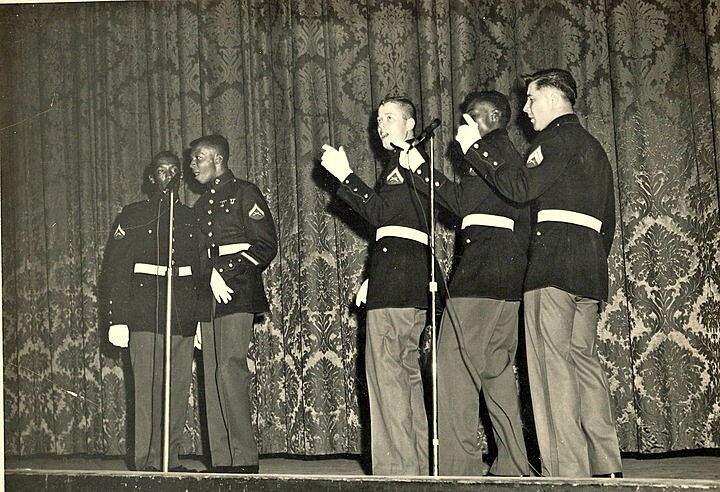 Mixed group from the US Marine Corps.They took their name from the Marines Corps emblem. William Johnson from White Plains,N.Y. 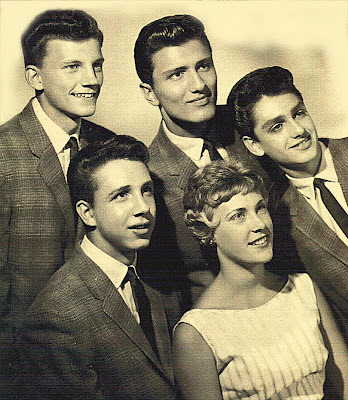 In 1962 they recorded two singles for the New York City based label Bayfront Records owned by Leo Rogers. -Poor Humpty Dumpty/Would You Still Be Mine. -Too Young/Bang Bang Shoot'em Up Daddy. 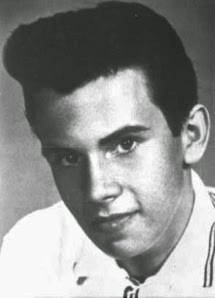 Tommy Stauch write_Too Young.later this guy changed their name to Tommy Vann and recorded again the song in 1966 for Academy Records as Tommy Vann & The Echoes(see in this blog). 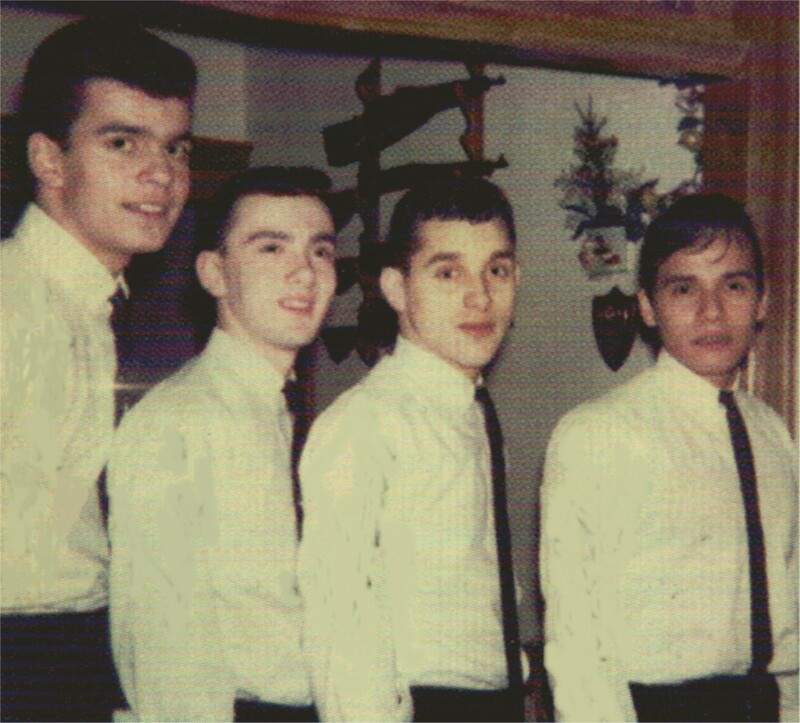 Five young men members of an athletic social club in Yonkers,New York form in 1961 a singing group,The Dials (clockwise from top); Sal Corrente aka Sal Anthony(Lead),Dario Bianchini(1st Tenor),Joe Raguso(2nd Tenor),Frank Rangione(Baritone) and Joe Rasulo(Bass). Left to right;J Rasulo,F Rangione,S Corrente,J Raguso and D Bianchini. For the next months,the group limited their singing to club fuctions and local dances until they were discovered by Lou DeLucia,he immediately signed them a management contract and send the group to Lou Ciccetti of the Bronx based label Cousin's Records who produced their first recordings.Lou sold the masters to Philips Records and this label in 1962 release the Dial's sides_These Foolish Things/At The Star Of A New Romance. 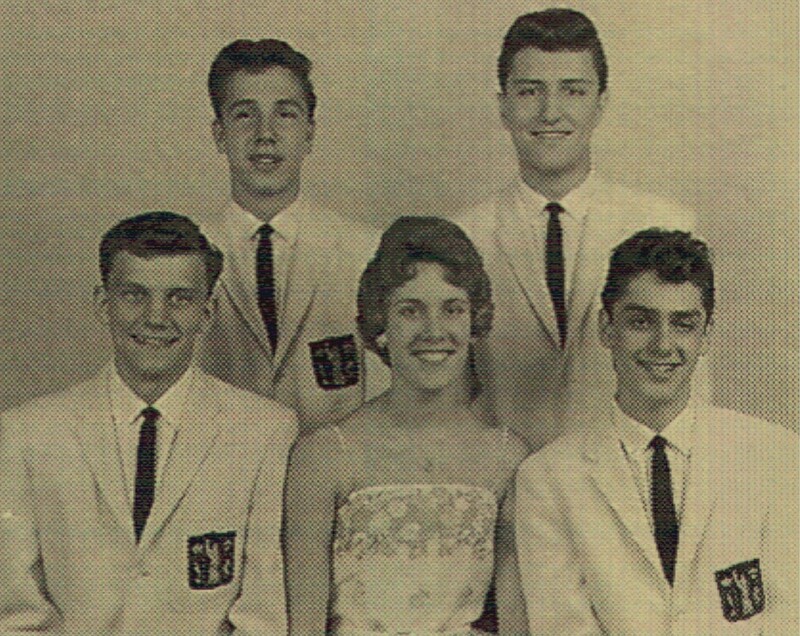 After this release the group moved to Kapp Records and back up to Al Reno on the sides_Cheryl/Congratulations. 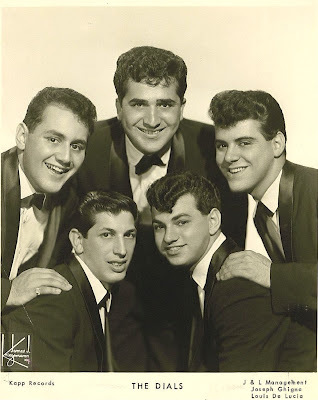 After the group broke up and Sal Corrente and Frank Rangone continued in the music business(see in this blog The Runarounds/lee & The Silver Tones/The Sinceres/The Johnny Law Four and The Blue Coats). 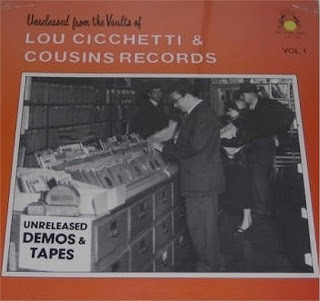 In 1987 Crystal Ball Records issued in one LP some Dial's unreleased sides from The Cousin's recordings as_Trying,Hey Little Girl or Unchained Melody. 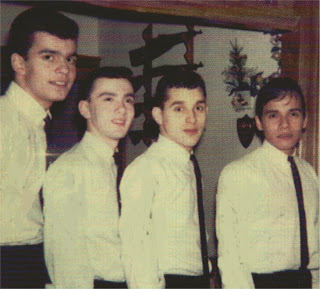 Hispanic group from Brooklyn consisted of Eduardo "Eddie" Nevarez(Lead),Steve Barrientos(1st Tenor),Edgar Hernandez(2nd Tenor) and Joe Leone(Baritone).They singing with and without music. 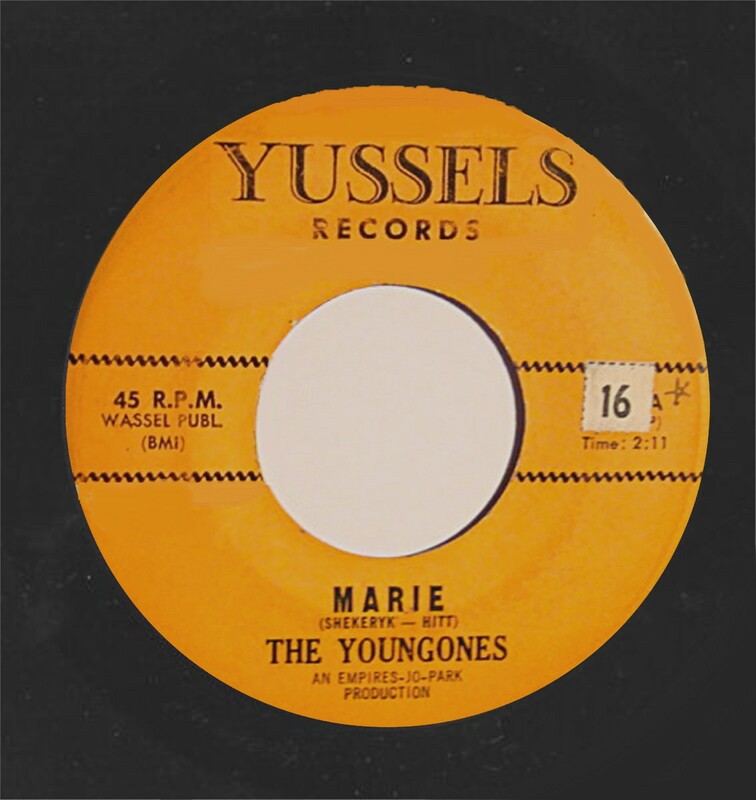 Formed in 1963 the group recorded three 45's RPM for the Newark,New Jersey based label Yussels Records owened by Joe Schulman. -Diamonds And Pearls (acappella)/Three Coins In The Fountain (acappella) . 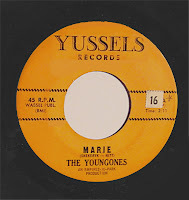 The Youngone's were fans of the Jimmy Gallagher Passion's group and the next records on Times Square Records(as The Young-Ones) in 1964 have The Passion's tunes_Sweeter Than. and_I Only Want you. done in acappella style. -Sweeter Than/Picture Of Love ( by The El Sierros) -1964. 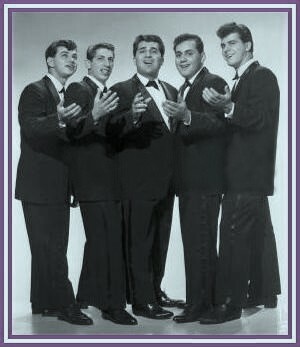 -I Only Want You (acappella)/Over The Rainbow (acaPpella) -1965. 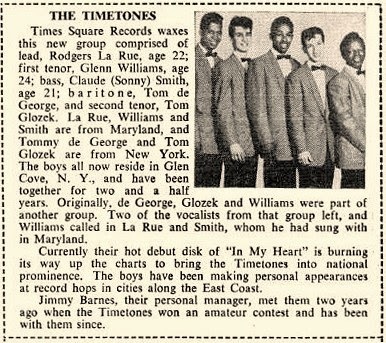 When Relic Records bought Times Squares catalog reissued some Youngone's sides on 45's RPM and incluided three sides for Relic's Best of Acappella Vol.2 LP. -A Make A Long Story Short (acappella)/Mary Ann (acappella) /Shining Star. 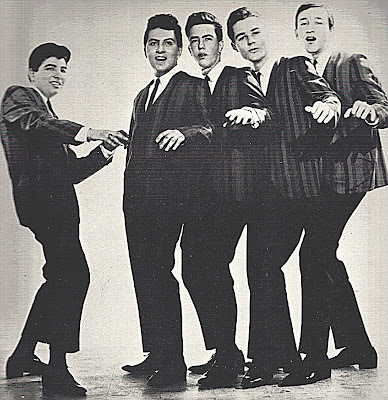 In early 1957 three junior high schoolmates from Brooklyn,Marty Jolton,John Cipriani and Steve Tudanger formed Marty & The Joltineers (see above picture)..when Laryy and Sal Ruggerio join the group changed their name to The Corsairs. 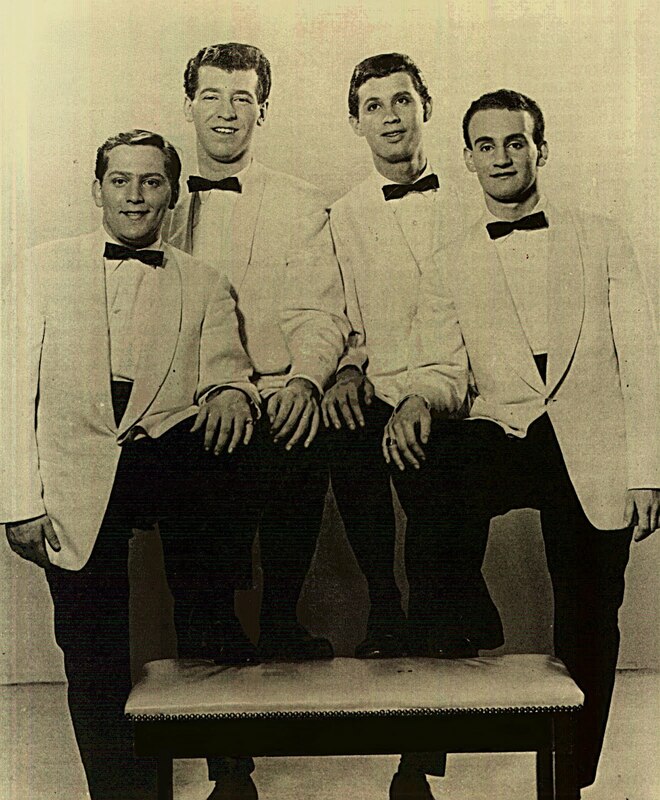 When Larry left they changed again their name to The Vocal Lords(see in this blog),managed by John’s father this give to song written by a friend_At Seventeen. Jim Crisali a local businessman(he owened two small pizzerias) in Souuth Brooklyn liked the group and pay a group record session of_At Seventeen/Girl Of Mine. Also Jim’s release in 1959 the songs on a 45 disc under the label name of Able Records.this same year the master was sold to Taurus Records and this re-released the sides again.From this time the group have unreleased sides as_My Love Will Always Be/At 17/Hey Senorita/Down By The Riverside. After a live appearance on channel 13 Clay Cole TV Show,Mike”Serby”Sebiniano owner of Taurus Records used the guys as back up group on Fireflies and Donnie & The Delchords record sessions(Steve wrote_Good Friends. For The Fireflies). 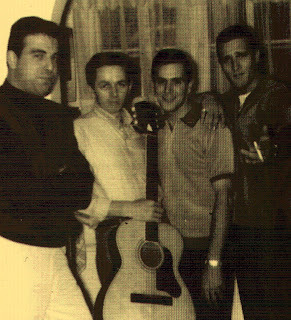 By 1960 The Vocal Lords were broke up but John Cipriani and Steve Tudanger with Nick Zagami and Joe DiBeneditto (from a group named The Paladiums who have an unrecorded demo_Lou’s Back In Town/Climb The Highest Mountain.). 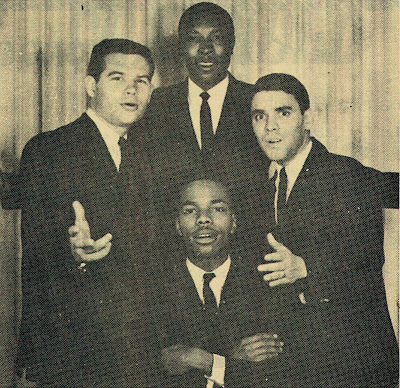 Formed again The Vocal Lords group,they singing in many clubs and recorded new demos_I’ll Be Seeing You/That’s I Wrote In The Note/Baby It’s Gotta Be Love. In 1961 Joe(Lead),John(1st Tenor),Steve(2nd Tenor) and Nick (Baritone) changed their name to The 4 Evers(from a Nick’s phrase “Let’s get going or we’ll here forever”) and signed Al Kasha as their manager,this send the group to Dave Kapalick of Columbia subsidiary label Epic Records who signed a Columbia’s contract. 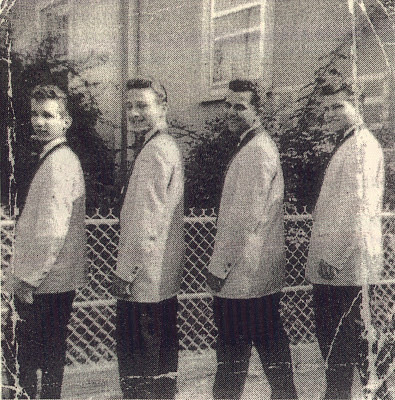 In 1962 recorded for Columbia Records the sides_You Belong To Me/Such A Goddnight For Dreaming. (with King Curtiss on bass Sax and Sam “The Man” Taylor on Tenor Sax) without any success,later another white group, The Dupress recorded a low version of the A Side and have a national number one. Columbia used the group as a studio group,they back up to Bob Halley,Gene Montomery or Al Kasha under the name of Bill Casher. 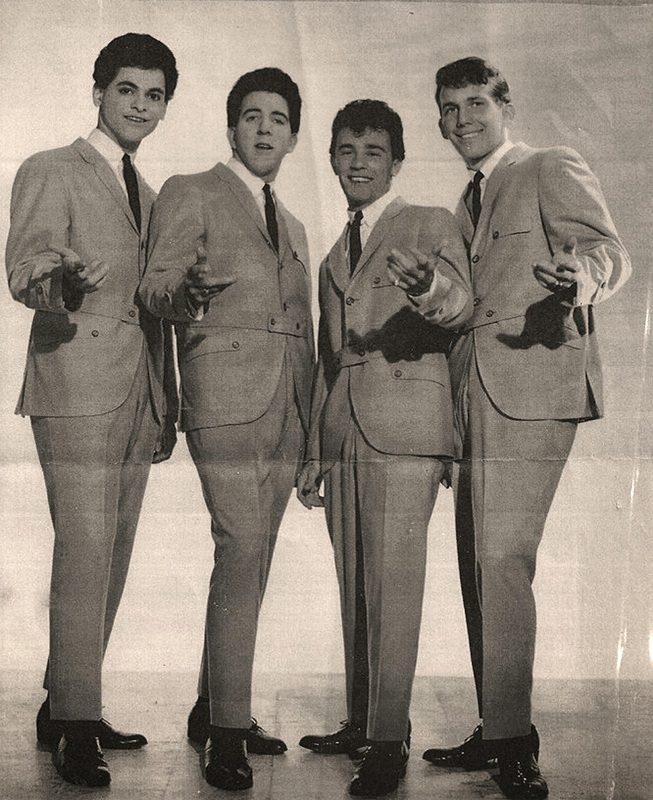 In early 1963 Nick was replaced by Andy Ventura and Al send the group to work with Bob Crewe and Bob Gaudio of The Four Seasons,they send the group to Smash Records where recorded in 1963 the sides_Love Come Back To Me/It’s Love. And in 1964_Please Be Mine/If I Were A Magician. 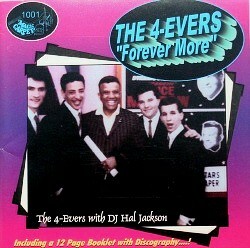 This disc soon was re-released with the A Side as_Be My Girl. And this side charted #75 nationally. By 1964 Nick Zagami returned as the Baritone of the group and this recorded their last Smash’s single_Everlasting/Doo Bee Dum. In the B Side Bob Gaudio played Keybards. 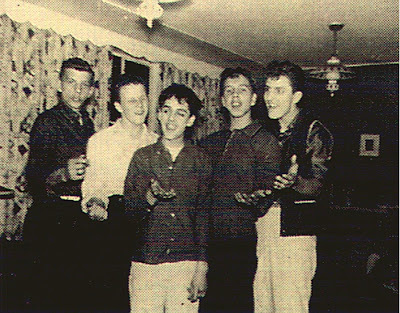 For this time the group have unreleased sides as_Lover/Dreamland/White Christmas/I’m Gonna Tell Your Mother/Let It Be/You’re So Fine/Dancing On The Calling. The group continue with their bacup work,they singing for Evan Mitchell(Mala Records),Bob’s brother Tom Crewe(Bell),Vinnie Monte(TCF),Ronnie Jackson(20th Century Fox),Eddie Rambeau(20th Century Fox),Tracy Day(Liberty).....In 1965 Constillation Records released two Smash’s masters_Stormy/(I’m Walkin) Out Of The Crowd. 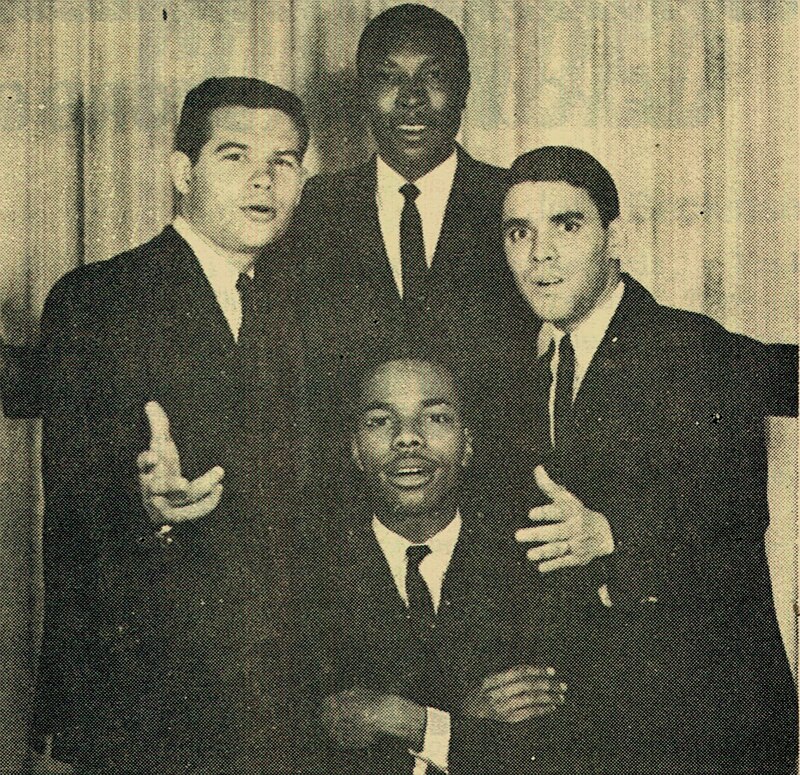 In 1966 Steve was replaced by Albee Gallione of the white group The Passions and the group moved to their first label,Columbia Records where recorded_Lovely Way To Say Goodnite/The Girl I Wanna Bring Home. Followed by another single on Red Bird Records_You Never Had It So Good/What A Scene. Finally this was the last release of the group. 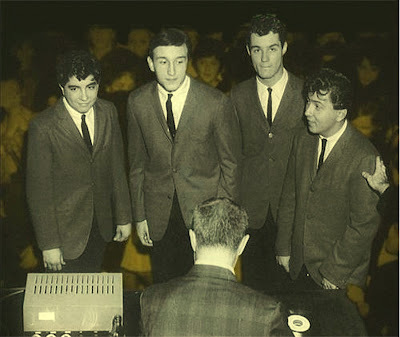 In 1963 Johnny Simms (see in this blog) recorded one single for Ality Records_Talk To Me/This Is The Moment. Actually Johnny was John Cipriani with the 4 Evers. 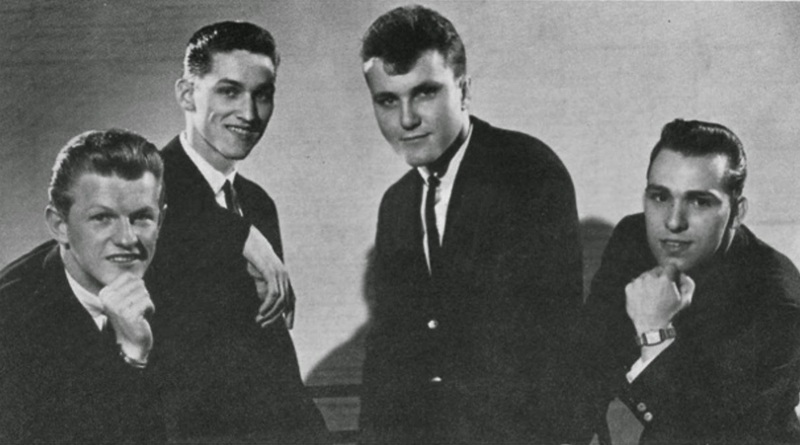 In 1963 Steve and Andy managing and writing for a girl group know as The Candy Girls on Rotate Records. In 1978 Crystal Ball Records released the unreleased sides_Dream Land/I’m Gonna Tell Your Mother. And in 1981 released the unreleased side_Your’re So Fine. In 1980 Jason Scott Records released one single with the sides_You Belong To Me/Such A Good Night For Dreaming. Another mixed race group.The Timetones from Clen Cove,Long Island.This group was given their name by Irving"Slim"Rose for the store's new label Times Square Records. (DeGeorge and Glozek were white). Group had a total of 8 releases. Two of these were acappella tracks. "My Love"/"In My Heart" '61 Times Square again on Relic in '65. 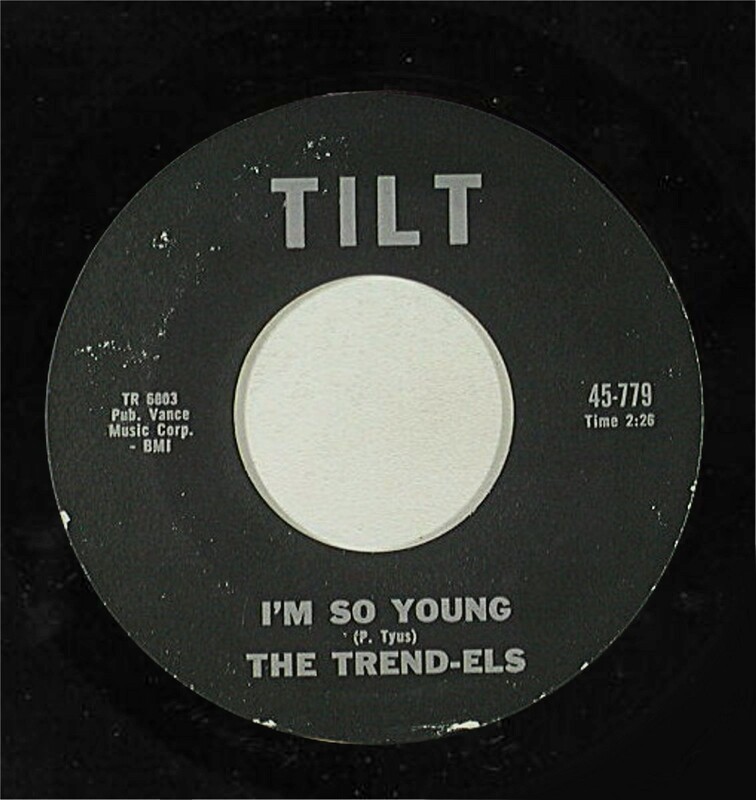 "Pretty, Pretty Girl"/"I've Got A Feeling" '61 Atco and again in '65 on Relic. "The House Where Lovers Dream"/Get A Hold Of Yourself" '64 Times Square on Relic in '65. "Sunday Kind Of Love"/"Angels In The Sky" '64 Times Square again in '66 on Relic. Also in 1975 Monogram Records released an unreleased accappella side of the group under the name of THE ROLLING STONES(see in this blog). When DeGeorge and Glozek left the group two new members are add and the group was a complety black group. 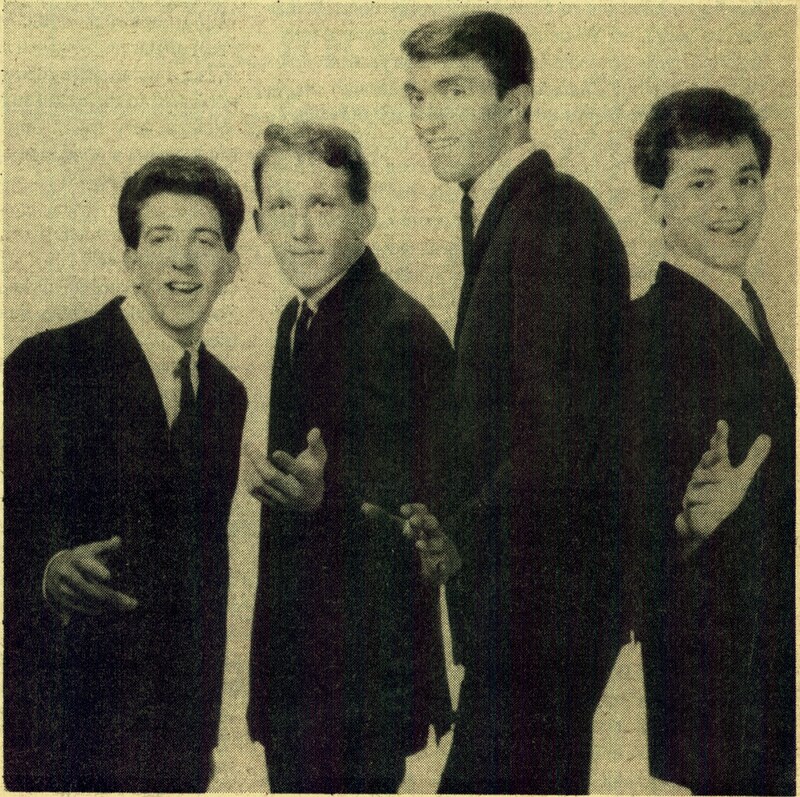 Their_Here In My Heart.reached the Billboard's Top 100 of 1961. 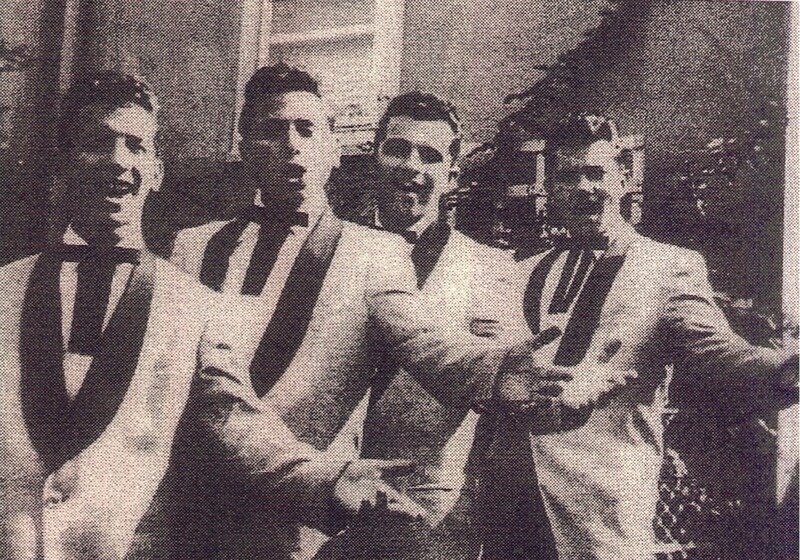 In early 1957 in South Brooklyn Marty Jolton,John Cipriani and Steve Tudanger formed Marty & The Joltineers soon they met Larry and Sal Ruggiero and The Corsairs were born.When Larry dropped out the group changed their name to The Vocal Lords. 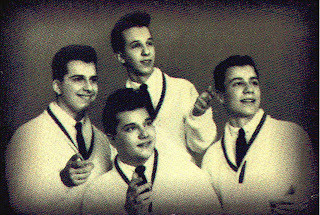 This group was to be managed by John's father,it was John's dad's friend Jimmy Crisali who had written_At Seventeen.the group recorded it but after of this recording Marty leave the group and Neil Dashkoff join the group.this "new" formation recorded the B side_Girl of Mine(Written by Ruggiero).in 1959 these sides were released on the author's own label Able Records,Jimmy Crisali formed this label special for the release of his tune. 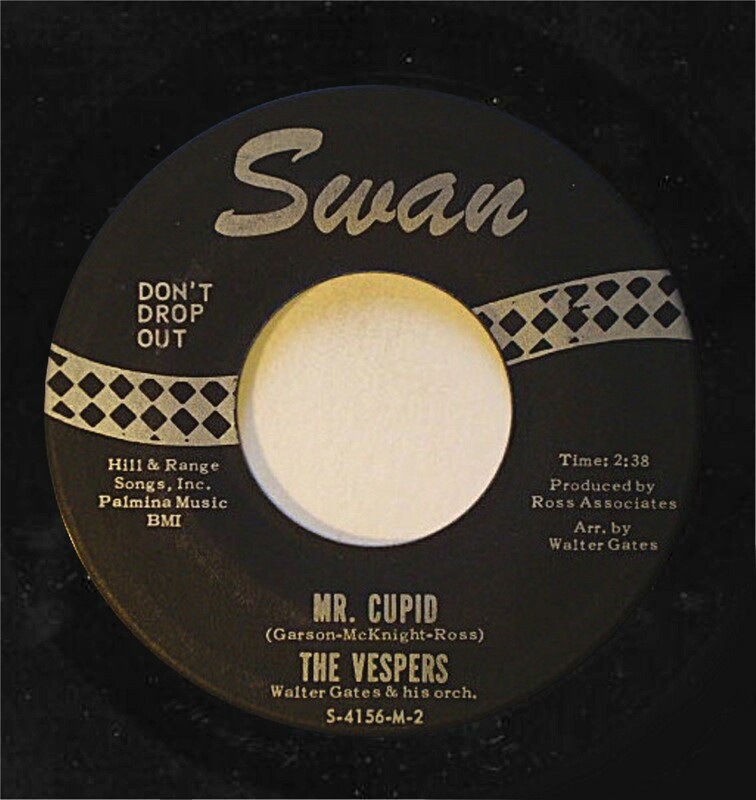 The master was sold to Taurus Records and this release the single_At Seventeen/Girl Of Mine.this same year 1959. 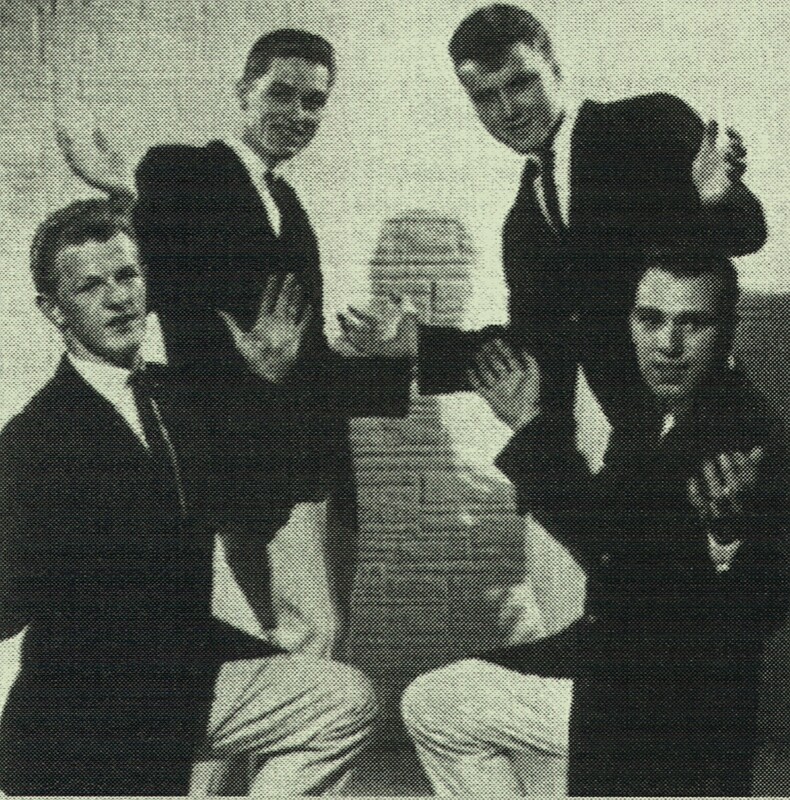 As result of the Taurus release the group made an appearance on Clay Cole TV Show.Once at Taurus the group backing others artists of the label as The Fireflies or The Delchords.in 1960 the group broke up but Steve and John evolve into The Four Evers of Columbia & Smash recordings(see in this blog). 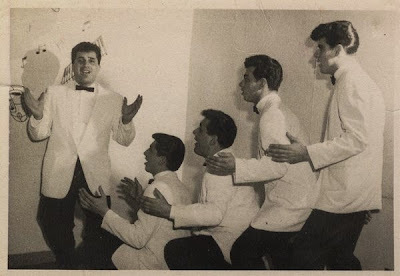 In 1962 The Crystals(see in this blog) were know as Billy & The Essentials;Bill Carlucci(Lead),John Caulfield(2nd Tenor),Phil D'Antonio(Baritone),Peter Torres(Falsetto) and Michael Leniham(1st Tenor). With the help of Johnny Madara the producer of Danny & The Juniors they have their first recording as Little Billy & The Essentials on the philly based label Landa Records (subsidiary of Jamie Records)_Steady Girl(written by a chinese Bill friend)/The Dance is Over(Originally by The Shirelles). The next release was their biggest_Maybe You'll Be There. b/w_Over The Weekend. on the mother label Jamie Records. -Lonely Weekend/Young At Heart. Mercury Records-1963. -Last Dance/Yes Sir, That's My Baby. Mercury Records-1963. -Remember Me, Baby/The Actor. Cameo Records-1965. -My Way Od Saying/Don't Cry(Sing Along With The Music/Baby, Go Away. 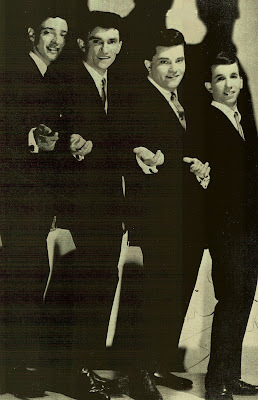 Smash Records-1966. -I Wrote A Song/Oh What A Feeling. SSS International-1967. -Resolutions/You're So Fine. Unreleased sides released on Crystal Ball Records in 1981. Also they recorded under the names of The Heatwaves, Gary Kay, The Panics or The Styles. (see all in this blog). 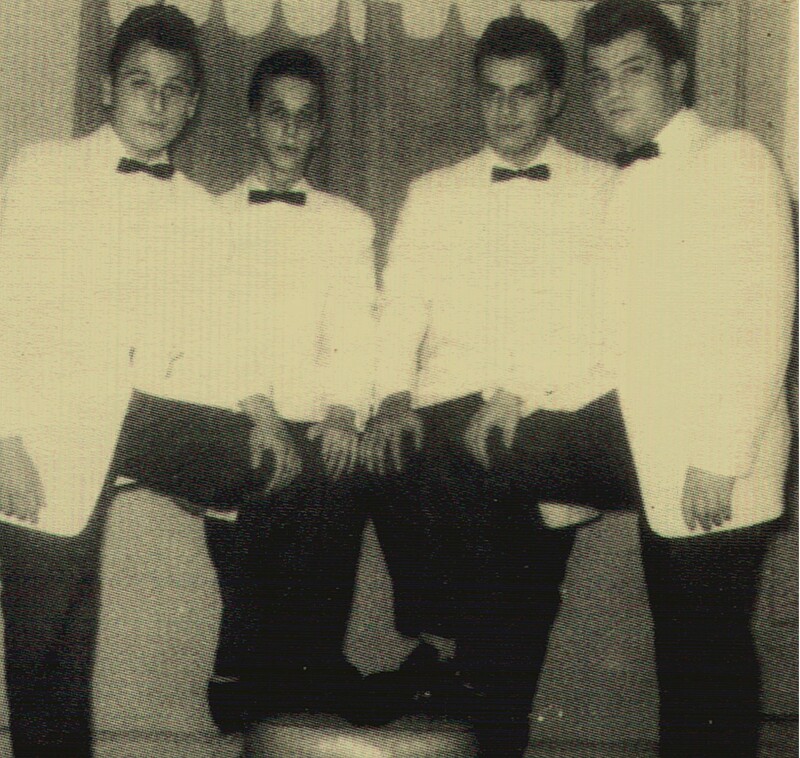 Group from South Philadelphia.the original members were Tony"Rick"Trombetta(Lead),Frank"Tweetie"Condo(1st Tenor),Mike"Teardrops"Silenzio(2nd Tenor) and Richie Finizio(Baritone/Bass), Richie was a cousin to South Philly Legend Bob Finizio of the 4 J's. In the early '60s, Mike "Teardrops" Silenzio needed a lead singer for the doo-wop group he was putting together. Mike attended South Philadelphia High School and he was chums with Fabian Forte, Chubby Checker, Bobby Rydell and other kids. It wasn't until after a stint in the Navy that Mike found who he was looking for .Tony "Rick" Trombetta and Rick & the Masters were born. 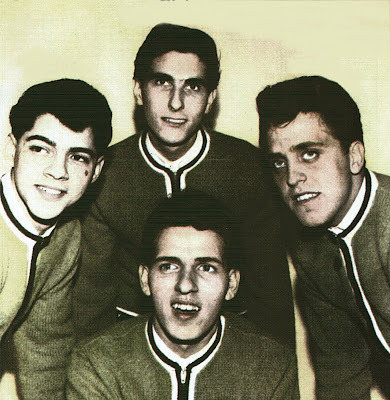 The group had to make a record to further its career, and it was Billy DiMuro who gave it the opportunity when he started Taba Records. 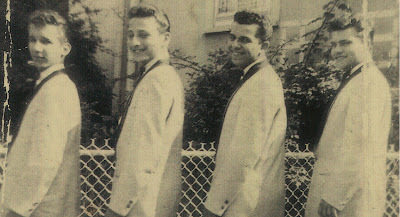 Jim Cunningham and Billy DiMuro wrote "Flame Of Love". 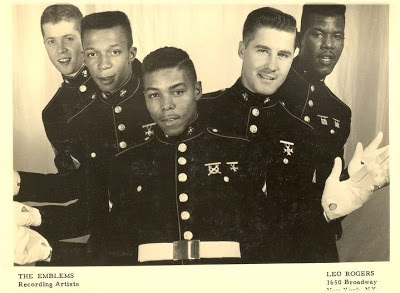 Billy also recorded with the group doing back-up vocals on several releases under the name Billy Lynn and Billy Lane. In actuality, Billy's real name was Trombetta, one of the Tony's Brothers. 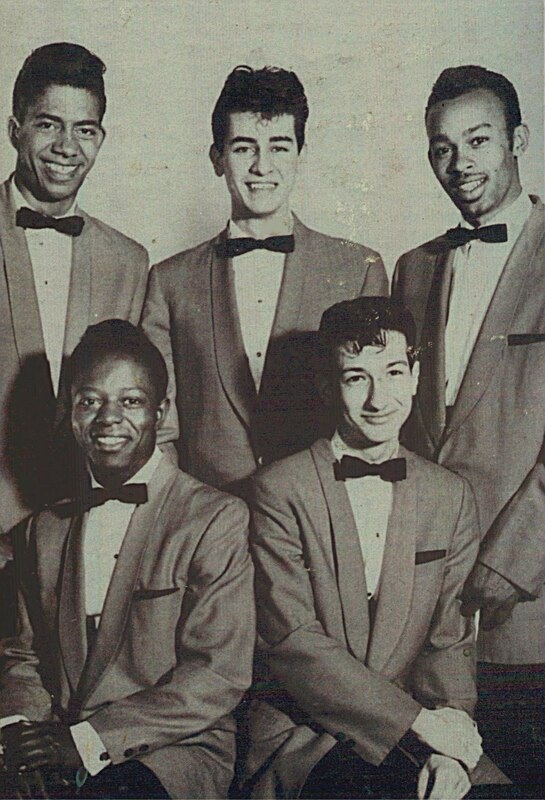 The group recorded their first 45 RPM in 1962 on the tiny Taba label_Flame Of Love/Here Comes Nancy. 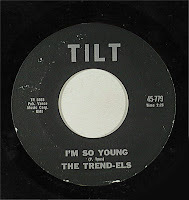 later released on Cameo Records. 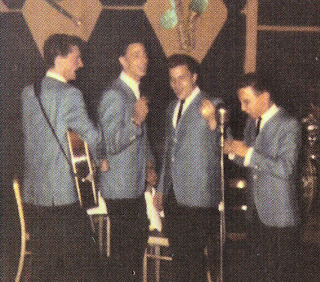 Their second recording came out on the Haral label in 1962_Bewitched,Bothered and Bewildered/Kissin Friends.and finally their last recording in 1963 was on Cameo With the cover version of_Let It Please Be You.originally done by The Desires and the B side_I Don't Want Your Love. 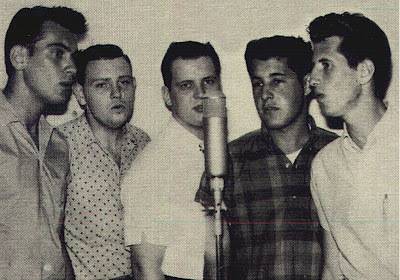 Rick & The Masters doing back-up vocals on several releases of Billy Lynn,Bobby Young, Bobby Rydell, DonCovay, Johnny Maestro or Lee Andrews. 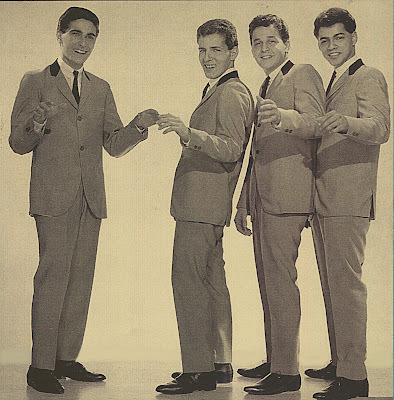 Listen to Rick & The Masters with Bobby Young(Real name Bobby Trombetta,Tony's younger brother) on the 1963 Guyden Records side_Only Girl For Me. 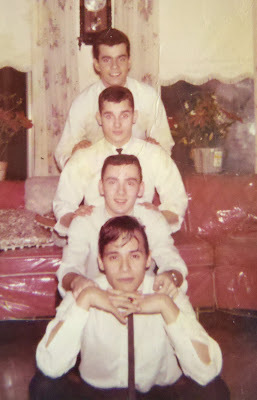 The group disbanded by the end of the sixties,disbanded for variuos military and family obligations but in the early 90's Frank Condo back with a new Master's group. -Space Ship Blues / Beginner In Love (Rick & the Masters). Taba Records-1961. -Only One For Me / Little Pony Tail. Amy Records-1961. -Barbara / Please Don't Talk About Me When I'm Gone. Cr Records-1962. 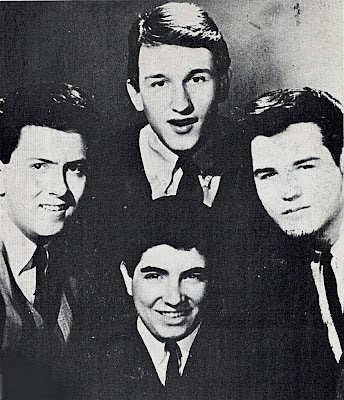 -Only Girl For Me / To Each His Own (Guyden Records-1963. -Remember Then / no group. Cameo Records-1962. -Butterfly Baby / no group. Cameo Records-1962. -That's My Desire . 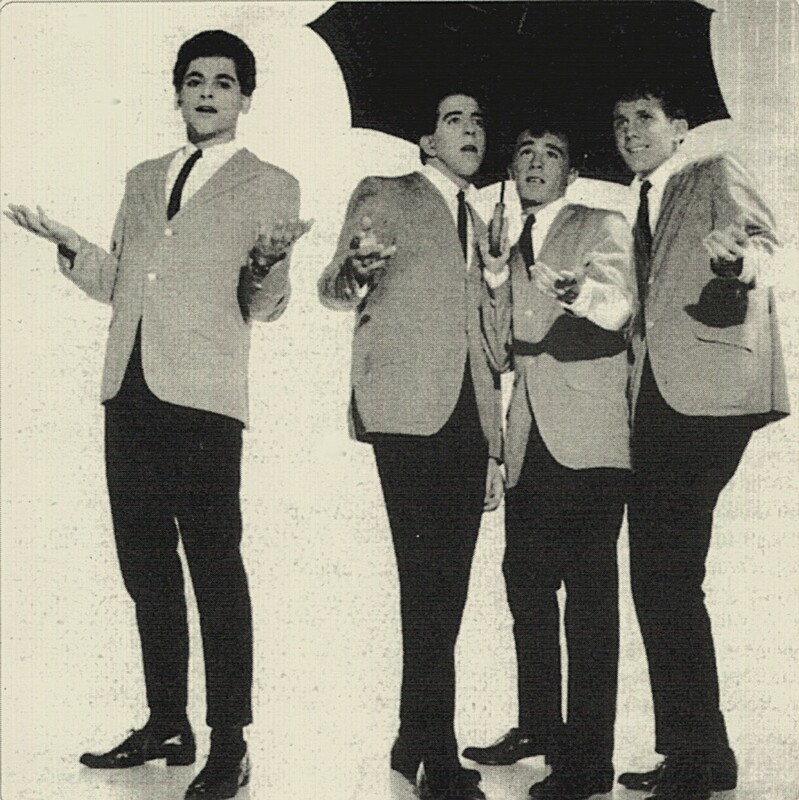 Cameo ‎LP-1962. - I'm Sorry Pillow / Gee But I'm Lonesome. Parkway Records-1963. -Rocket Ride / Why Don't You Love Me. Pageant Records-1963. -Over The Weekend / no group. Cameo Records-1963. -Popeye Waddle / no group. Cameo Records-1963. White vocal group from the Borough Park Section of Brooklyn formed in 1954 and consisted of Frank Vignari(Lead),Jeff Pearl(1st Tenor),Ron Derin(Baritone) and Norm Isacoff(Bass). The Neon's first release_Angel Face/Kiss Me Quickly. 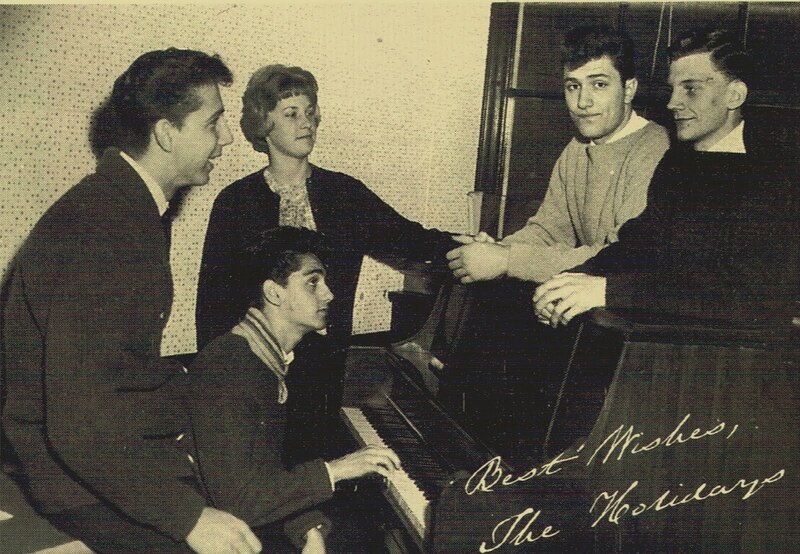 was in the summer of 1956 with Monty Bruce(owner of Bruce Records) in the new Monty's label Tetra Records._Angel Face.was a local Hit in New York City and Philadelphia. 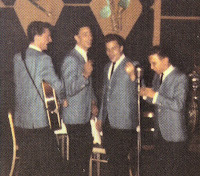 In early 1957 the group recorded their second Tetra 45 RPM_Road To Romance/My Chickadee.and for internal problems with Bruce this was the end of The Neon's recording career. In 1959 Gone Records reisued_Angel Face.with an unreleased Neon's side_Golden Dreams. A final recording was released in 1974 on Vintage Records with the sides_Golden Dreams and the unreleased tune_Honey Bunn.The group finally disbained in 1960. 1958 in Pittsburgh Little Ray & The Velvadears kept very busy singing here,there and everywhere the group consisted of Ray Lancianese,Ralph Falk,Frank Gori,Frank Grisnik and Charley Hatfield.after many personal appearances the group decided make a demo with the original tune_Carol.and The Monarch's side_In My Younger Days..No records were ever released but they continue to sing at all the local dances...and soon recorded under the name of The Holidays(see in this blog). In 1960 Little Ray & The Velvedears(see in this blog) with the addition of a young lady were know as The Holidays.this Pittsburgh formation consisted now of Franny Grisnik(Baritone,Bass),Charlie Hatfield(Tenor),Raymond Lancianese(Lead & Tenor),Barbara"Jo"Lippzer Smith(Alto) and Frank Gori(Bass & Baritone). 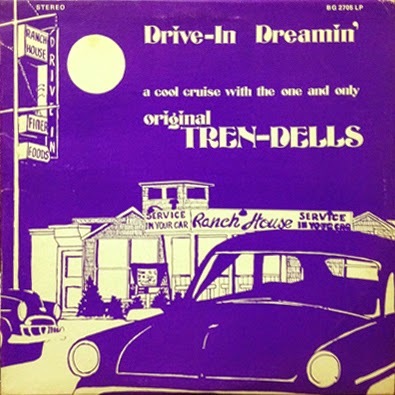 The group moved to New York to record some demo_Miss You/Pretend/A Love I Never Had...were recorded and the group present these to Mr. Lenny Martin of Skyliner's fame,Lenny liked the demos and released in 1960_Miss You/Pretend. on the new label Robbee Records. 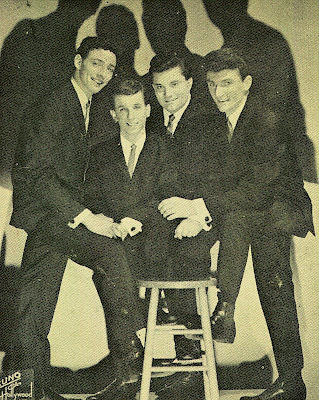 Miss You.became a huge local success and open new doors for The Holidays with many live perfomances.In the early 1961 the group made another trip to New York a second recording session at this session they recorded their second and final release for Robbee Records_Lonely Summer/Then I'll Be Tired Of You. Their second Robbee release did no do very well and the group sign with Mr. Nick Cenci this man change their vocal style to a more black sound and send the group to Nix Records where they recorded in 1961 The Keynote's_One Little Kiss. and the original tune_My Girl. The disc enjoyed some local success...but nothing more,of course,led to the break-up of The Holidays. 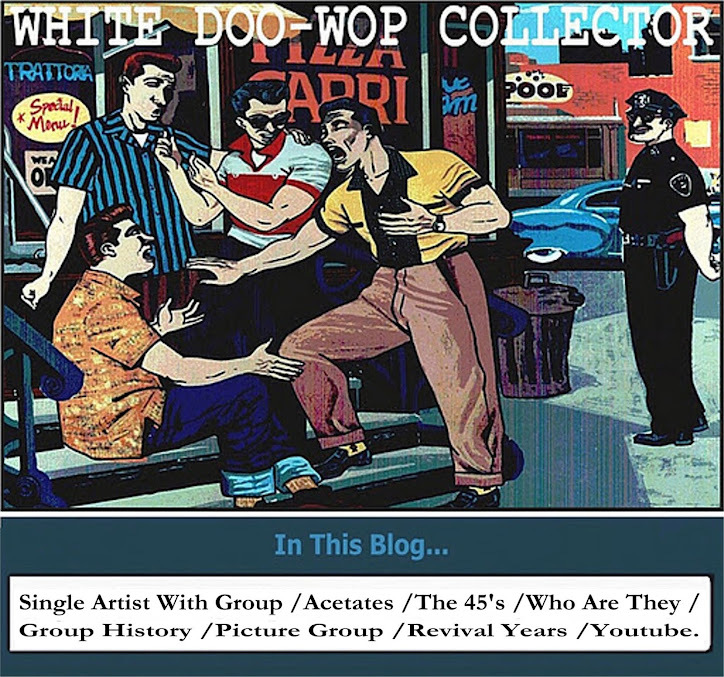 Today a reformed Holiday's group continue singing and some unreleased sides are available from Doo-Wop complilations as_A Lover I Never Had. or_Same Old Dream. 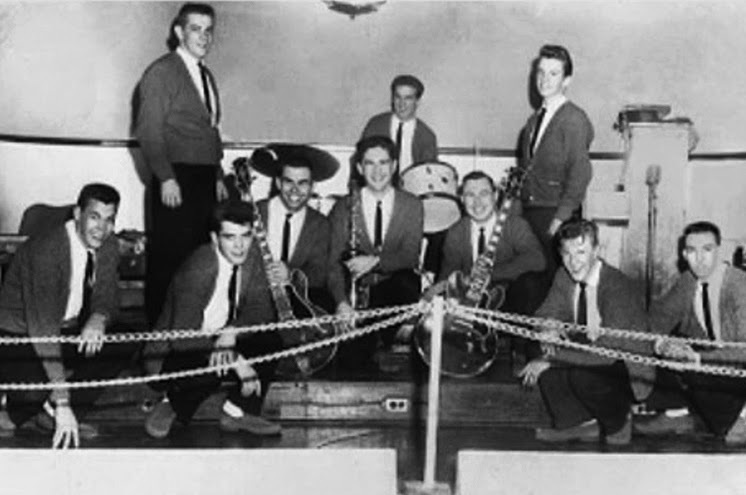 Group from Philadelphia consisted of Tony Acchione(Lead),Mark Stevens(Dovells Involved,Baritone),Al Baron(1st Tenor),Kenny Sax(Bass) and Jerry Koracik(2nd Tenor). -While Walking/Our Love is Over. 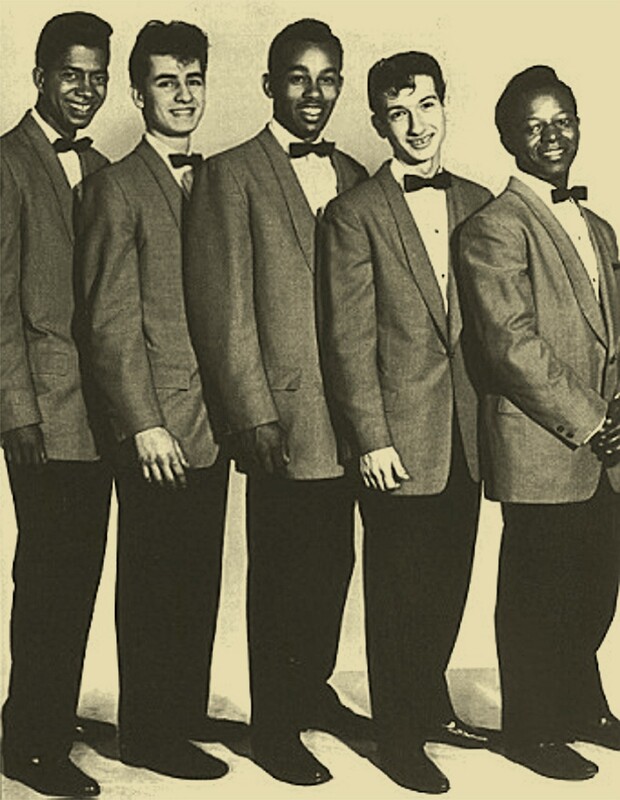 Finally Tony & The Raindrops auditioned for labels as Cameo-Parkway and Laurie Records but this "White" label not liked the group why "THEIR SOUND WAS TOO BLACK". 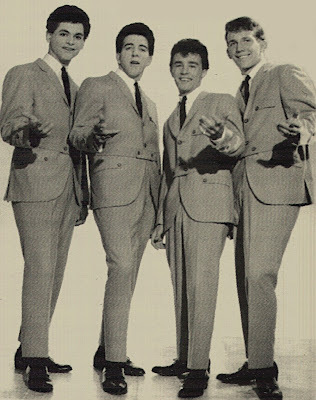 The group broke up in the winter of 1963. 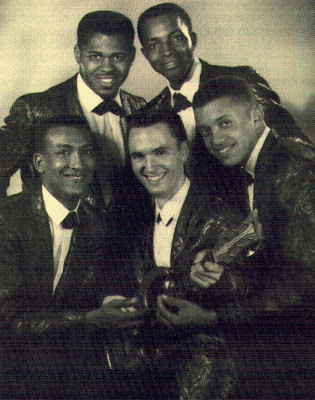 In 1960 Louie Lymon of The Teenchord's fame and brother of Frankie Lymon auditioned as a solo artist for Columbia Records and for the Dinah Washington agency but nothing resulted from these contatcs and Louie went with The Townsmen(replacing original lead singer Bobby Rivera of The Hemlocks fame). -I Can't Go/That's All I'll Ever Need. Louie was the Lead in the A side and Louis Vasquez did Lead on the flip. 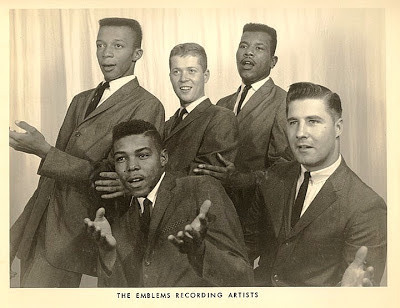 When the record failed in the charts The Townsmen ask to Frankie Lymon if he want sang with they but Frankie had a problem:he was no punctual and wasn't easy to work with. this ended Louie's musical aspirations he did not consider singing again until 1971 when he reformed The Teenchords.